We offer services for extrusion dies, single- and twin-screw extruders and pumps. 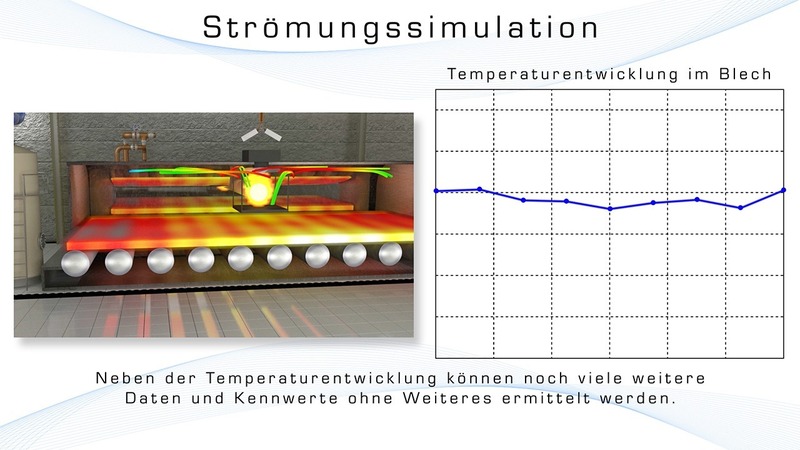 We offer single simulations for your process (i.e. die, extrusion screw, pumps or any other fluid processes) or assist you with your construction in development projects with our software and long-term experience. We want to show you how powerful our code is and how many insights into your process it allows. As a new customer, you can get the first simulation at a very small price. One of the essential core elements of IANUS Simulation is the 3D CFD flow simulation for extrusion dies and screws. Compared to costly experimental investigations, a 3D CFD flow simulation can be implemented quickly and allows a detailed insight into the process. In such a manner, a process can already be examined and optimized in the early stage of development. The advantage for the customer is an efficient product optimization. Black specks or tear-offs on the profile can be prevented from the start, additional costs for an unnecessary high waste of material can be avoided, and the energy efficiency can be improved in the best possible way. The modern industry already uses flow simulations for several years. The 3D CFD simulations offered by IANUS Simulation do not only allow to optimize dies but also enable to design and configure screws optimally. Whether it is about a single- or a twin-screw, IANUS Simulation makes it possible to have a deep insight into the extruder, and it is well-known that an optimally designed screw allows for the optimal throughput as well as the optimal energy efficiency. Furthermore, simulations make it possible to identify key figures, like the temperature peaks, the energy input or the shear distribution of the most diverse screws. Thereby, it is possible to determine easily both the optimal transition into the die, a comparison of the material stress and an optimal screw design respectively a configuration for the maximum throughput. The specifically generated code Extrud3DPro is based on the 3D FEM (FeatFlow) code. That is why the CFD flow simulation can not only be depicted in 3D, but also at high resolution. The aim of IANUS Simulation is to depict the customer’s process in the highest quality with simultaneous low costs. The optimization of pumps and pump systems is another one of the essential core elements of IANUS Simulation. Based on CAD data files, it is possible to carry out an individual error analysis that normally takes just a few days time. This turns out to be profitable, because thereby decrease tremendously the costs of a flow simulation as well as of a pump optimization. It results in a high ROI (Return On Investment) while just having to raise a small amount of capital on the one hand, and on the other hand in a short amortization period. For example, a 3D CFD flow simulation allows to optimize spiral pumps, screw spindle pumps, gear pumps, oscillating positive displacement pumps or membrane pumps. can be significantly minimized by a 3D CFD simulation. Therefore, the wear behaviour can be optimized. Beside the pumps it is also possible to improve the entire system in combination with the pumps to ensure the optimum utilization of the whole configuration. In the foreground stands the efficiency optimization of the system, the avoidance of costs caused by poor designs and the greatest possible increase in quality of the final products. This is always the highest aim. Moreover, the calculation of the optimal operating point (Q/h) of the system often presents a major problem for system operators and can be defined beforehand by a simulation of the characteristic curve of the system as well as of the characteristic curve of the pump in a short period of time. Pump3DPro, our specifically adjusted 3D CFD code, which is based on the multi-awarded FeatFlow-concept, therefore presents a very economical high-tech analysis tool for the simulation, calculation and evaluation of the proceeding flow conditions. Due to our long-time experience in the area of flow simulations, IANUS Simulation is your perfect partner for the optimization of pumps and systems. Another essential core element of IANUS Simulation is the 3D CFD simulation of turbulent flows. In this field, there are many possibilities of flow simulations. Besides air-flow simulations in feed pipes, ovens etc., is the calculation of resistors in the automotive or wind turbine sector the newest state of the art. Heat transmission procedures for all turbulent flows – like for example in industrial ovens – can be quickly realized. Various radiation models and their influences can be very easily depicted too. Regardless of whether the customer wants the energy efficiency to be improved or to obtain key performance indicators, IANUS Simulation simulates these flow processes on the basis of the CAD data. By this, the customer can design their system or process efficiently. Therefore, possible sources of errors like vortex formation or unintended unsteady heating can be identified and prevented already in advance. Find the optimal geometry for your process by means of a 3D CFD flow simulation and the extensive experience of IANUS Simulation in the field of flow simulations. Regardless of whether you want an already existing geometry to be optimized or to be completely new designed, IANUS Simulations helps you to achieve your aims both quickly and easily. The objective of IANUS Simulation is to attain the highest quality with a minimum of effort for the customer. In cooling processes, the dominant factors are flow paths, surfaces, flow velocities, pressure losses, etc. With our simulations, we can quickly calculate these parameters and potentials, for example regarding the energy efficiency or the cooling property, and optimize the specific process. 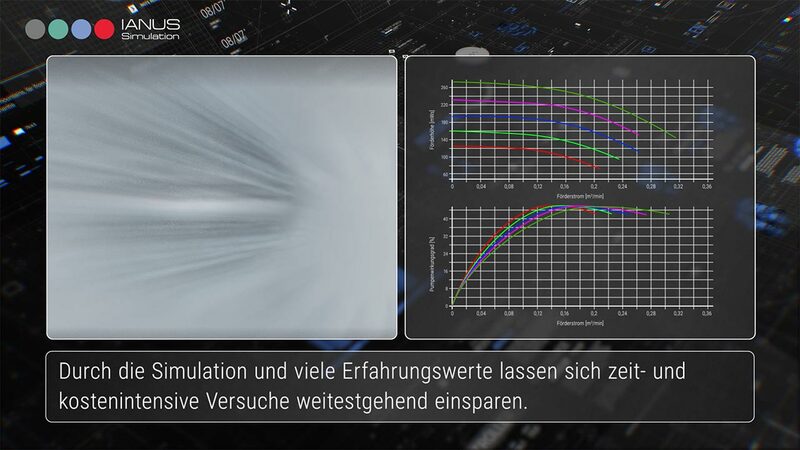 With the help of our simulations, the customers can optimize their heat exchangers in a very energy-efficient way to avoid high pressure, losses etc. or also to improve the heat transfer (capacity) – also in case of dry cooled heat exchangers. Since these factors often tend to interact negatively, a simulation helps to design both of them optimally and efficiently. Beyond this are many more possibilities to optimize your processes e.g. in mixers, stirrers or blow mould projects. On the right side you can see an example of a stirrer in which the different flow and mixing properties are shown. We would like to thank Evonik Industries for the approval to show it. 1. CFD-Simulations are versatile. Lots of questions, many exceptions and a field of research that is continuously developing. Good and quick results require a solid base, which we provide for your process. 2. We want to minimize your workload! You define the goals, we take care of the rest and discuss the results with you in the following. Of course, we simulate other flow processes than the ones presented here for you, as well. Feel free to contact us!